It's my birthday! And I'd love to celebrate with YOU! I very rarely have sales on my patterns so if you've been waiting for a sale...today's a fun day for you too! ALL of the patterns in my Shop are 50% off. No coupon code needed. 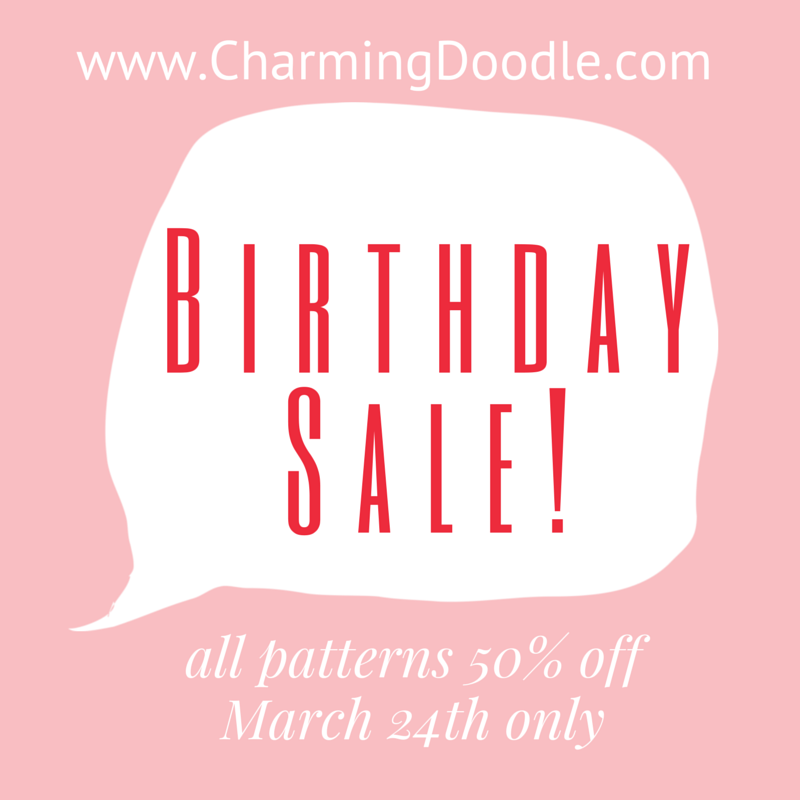 The sale is for March 24th only so go get those patterns NOW! Happy Birthday and Thank you! Can't wait to make some Kudzo pants now! Thanks Karen! I'd love to see them when you make them!